This festive season, what better way to celebrate than to give the gift of glowing skin! Spoil your loved ones, and yourself, with our curated gift packs. Our 2018 Christmas Gift Guide for Korean Skincare Lovers has gifts suited for all budgets and skin types. Each gift pack comes with a bonus Limited Edition Let’s Face It Christmas Drawstring Pouch. Christmas gift wrapping is also available as an add on option in the cart screen from 4 December. This Christmas, we’re also giving 12 Days Of Korean Beauty Deals for our Let’s Face It members! Starting Sunday, 2 December until Thursday, 13 December. Each day will be a different deal that is valid until midnight that day. Don’t miss out on our exclusive discounts and freebies! Sign up now! Christmas is the craziest time of the year for gifts and more often than not, it’s hard to find something that’s great quality at an affordable price. That’s why we LOVE Korean skincare & beauty! It’s super affordable, effective and gentle on your skin – even for the most sensitive skin types. Whether you or someone you know share the same admiration, spread the love for K beauty this holiday season with our wide range of products and gift sets. Korean skincare & beauty is for everyone, and the huge variety means there are products available for all skin types. It’s our mission to not only help others take care of their skin but to help others take care of themselves. Let us help you with the decision making this year so you’re not feeling overwhelmed and stressed out. Check out our curated Christmas gifts below! Do you have a Secret Santa / Kris Kringle this year? Trust us to curate a little surprise pack of Korean skincare goodies for you to give to your Secret Santa! This pack will come with mini sized skincare products, sheet masks and face masks inside our Limited Edition Christmas Drawstring Pouch. If your Secret Santa is new to K beauty, don’t worry, a full product information list will be included with the gift as well. If you know your Secret Santa well and know their skin type, feel free to let us know in the order notes and we will do our best to customise it for their skin! Suited for all skin types. Valued $30. In need of a detox after Christmas and New Year? This gift pack provides a skin detox with Korean skincare products that will deep cleanse, exfoliate and replenish your skin. A bubble clay mask removes toxins and excess sebum while minimising the appearance of pores. A foot mask will soothe tired feet and exfoliate rough, dry skin. Two Korean beauty sheet masks are included to revitalise and replenish your skin with some much needed hydration. Better yet, it also means the person receiving this gift can sit back, relax and recover from all the festivities. Suitable for all skin types. Well suited for oily, acne prone skin. Valued $39. This holiday season, let’s get sheet faced!…With an assortment of 11 popular Korean beauty sheet masks, that is 🙊. A great gift for yourself, or anyone who loves to sheet mask, needs some self care time and/or enjoys a good night in with a face mask, Netflix and some wine! This pack includes sheet masks by Benton, Etude House, A’pieu and Papa Recipe. Each sheet mask is created with safe, gentle ingredients that deliver unique skin care benefits. Suited for all skin types. Valued $41. Anyone going on a trip soon? Whether its a road trip or flight, save luggage space with our Mini Christmas Getaway Gift Pack. 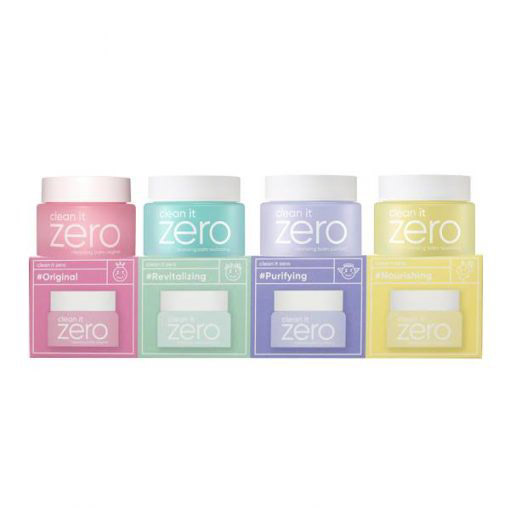 This pack contains travel-friendly sized Korean skincare products to keep skin feeling refreshed during travelling. Prep for a trip with this pack and arrive to the destination with a healthy glow! Suited for all skin types. Valued $47. Perfect for those who often don’t have much time to spare or just want a quick and easy yet effective routine, these simple 3 step skin care routines can be done in under 5 minutes. Although these sets are part of our usual product range, as a Christmas special, they will come with our limited Christmas drawstring pouch. We’ve curated a quick routine set for each skin type. Each set contains a full sized cleanser, toner and moisturiser as well as our signature Let’s Face It Spa Bath Headband. If you’re looking for something just a little bit extra this year, our 5 Step Korean Skin Care Routines are the ultimate glowing skin gift this season. Curated for each skin type, each set contains full sized Korean skincare products: a cleanser, exfoliator, toner, moisturiser and sunscreen. A great set to gift yourself or to someone special, whether you / they are a Korean Beauty novice or already obsessed! As a Christmas special, instead of our usual Let’s Face It drawstring pouch (as featured in the pictures), each set will come with our limited Christmas drawstring pouch. *Please note: All sets that are currently out of stock will be restocked on 3 December. We hope our Christmas Gift Guide helps you stress less when it comes to Christmas shopping this year. Don’t forget, you can save yourself even more time and opt to have your gift wrapped by us! Options are available in the Cart screen from 4 December. Need extra help with choosing a gift? We’re happy to help!